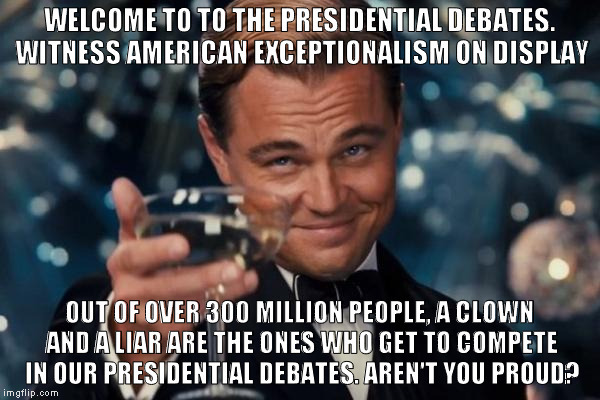 So far from this debate we have learned that lockerroom talk is the most important issue facing America. 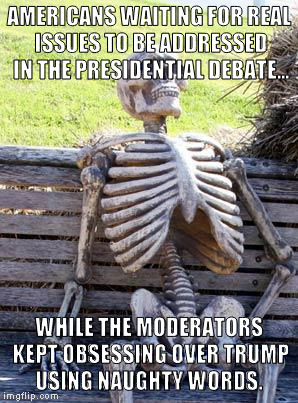 We have also learned that the moderators are completely in Hillary's pocket. You will notice that they only scolded the audience when they cheered Trump for saying she should go to jail. They allowed the audience to clap for things Hillary said, but not the reverse. This was after saying that people shouldn't make any sounds at the beginning of the debates. 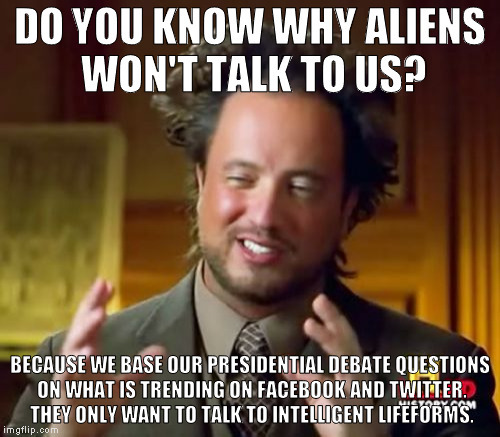 Furthermore, Twitter and Facebook are now the gold standard of questions for presidential debates. Only in America folks. Come join us in our new Progressive Chat Forum!